#MyArabWorld is a social campaign to engage and inspire 1 million people globally to make individual public commitments, and take actions, towards social development in the MENA Region. 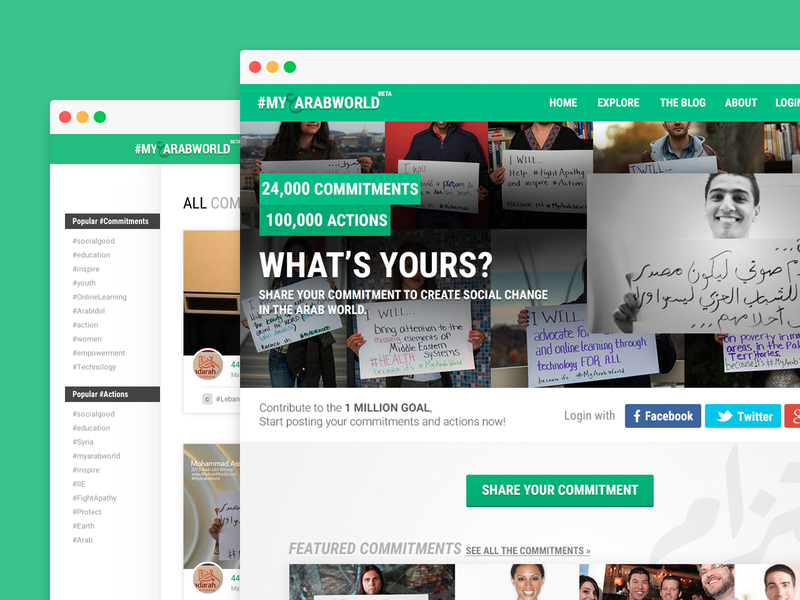 #MyArabWorld is a small social network, where people can post their commitments and actions to create social change in the region. The process of posting a commitment/action had to be the easiest possible for the users while trying to delight them, so the majority of the work was focused on the posting part. The website was built using CodeIgniter. 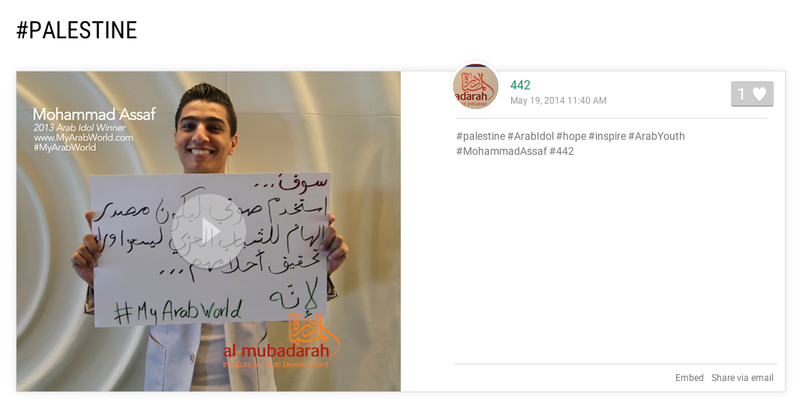 Visit the live version at : http://www.myarabworld.com. Here is the preview from the PSD, some changes have been made on the website. This is the part I enjoyed working on the most on the website. 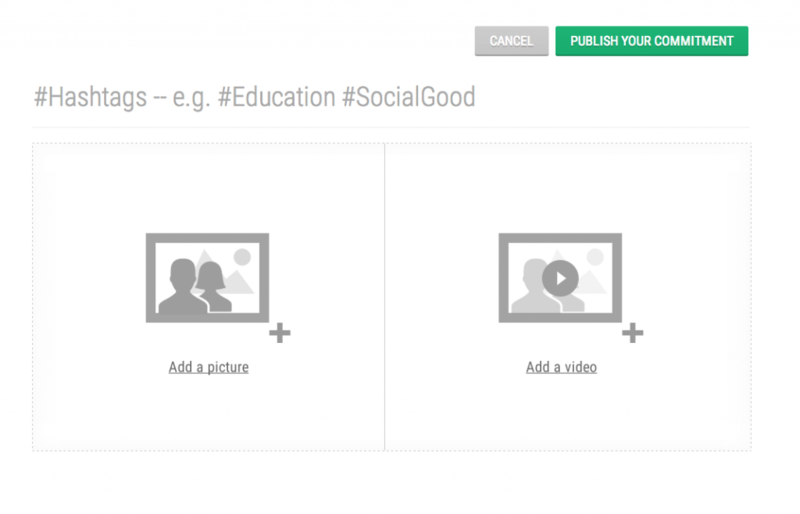 The “posting” page is simple : no header, no footer, no extra options.